There are two girls that I love more than anyone else. It’s pretty insulting that I haven’t written about them yet- they’re mad at me for it. 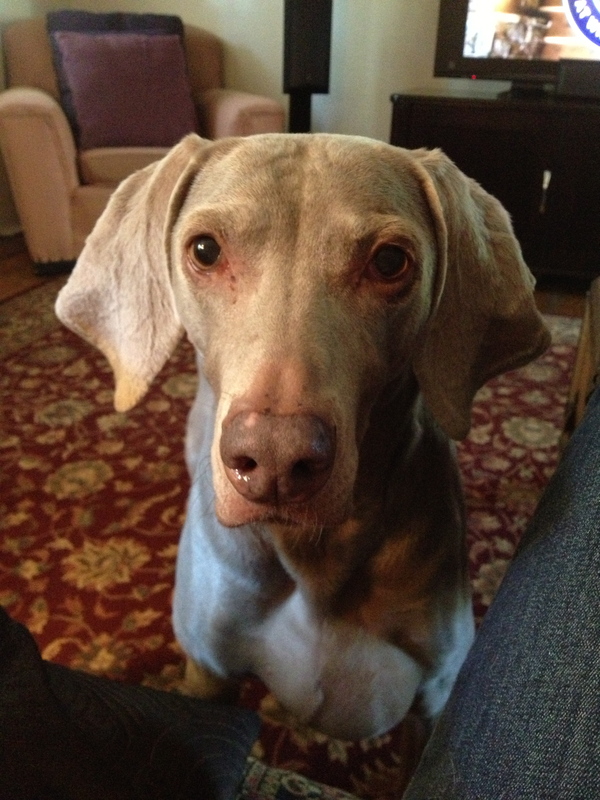 One of them is so mad that she’s furiously sniffing at my shoes right now. 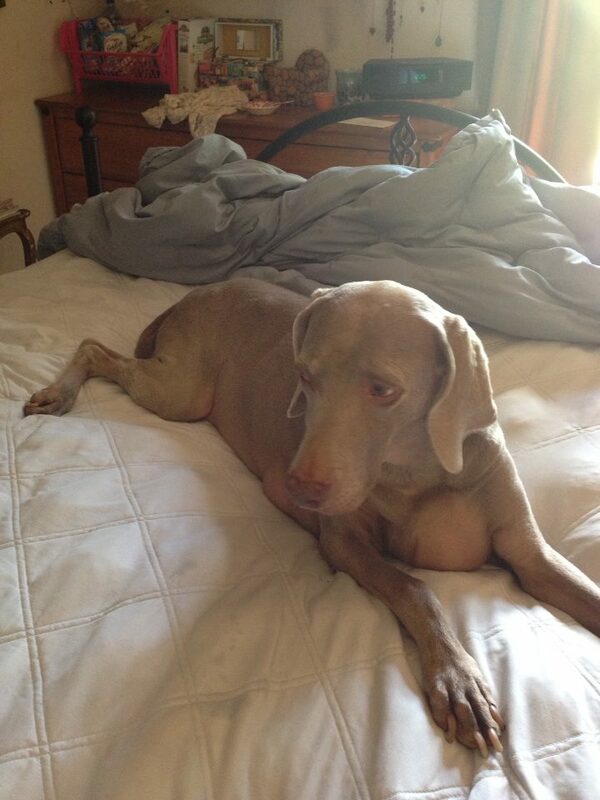 This is my little Weimaraner Bicky! She is 11 years old and loves to sleep on beds. She is obsessed with carbs and begs while my brother eats his bagel every morning. One time, my mom made pigs-in-a-blanket for dinner for some friends I had over, and for her and my dad. I took my share to my room, where Bicky tried to come in and beg until I kicked her out. My mom left my dad’s plate on the dining room table, and suddenly comes to my room mad that I took my dad’s share when she made plenty for me. I told her that I hadn’t touched my dad’s plate- and it turned out Bicky had jumped up onto the table and ate 10 pigs-in-a-blanket without anyone noticing. She is stealthier than she looks. 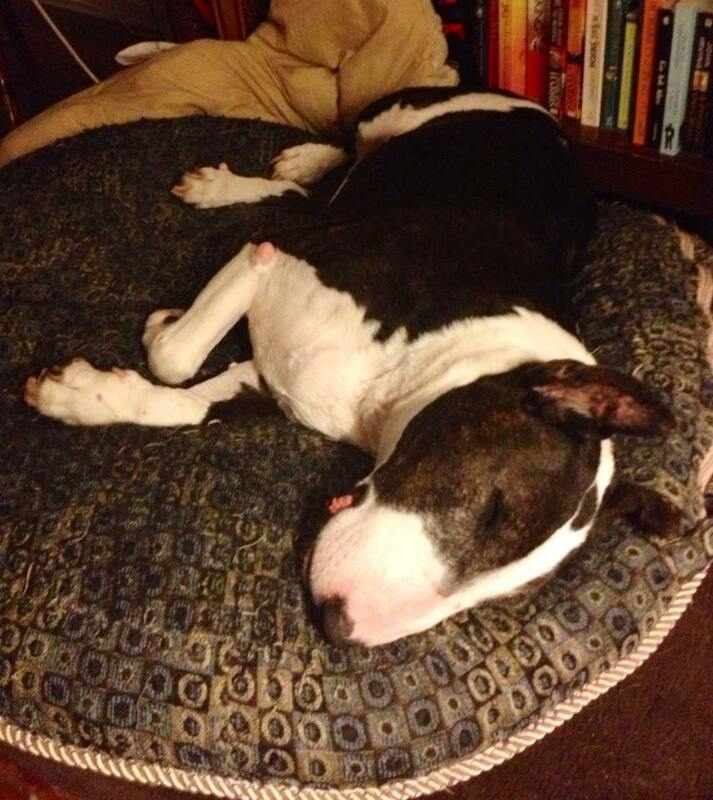 And then this is my baby, my 13 year old English Bull Terrier Bewee. She has the biggest personality, and she’s been my best friend since my parents tried to make me eat a hot dog and I didn’t want to and she ate it out of my hand without them noticing. And that was our first day together! 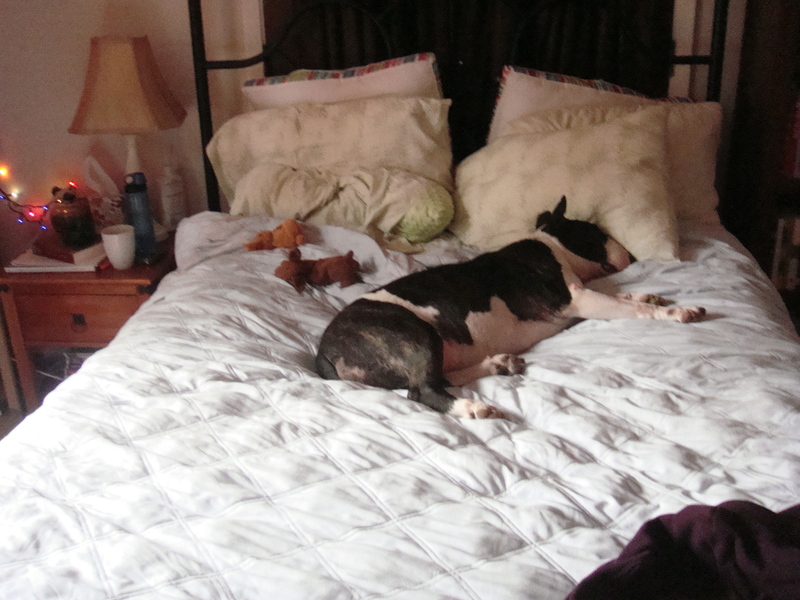 She sleeps a lot… And she is a gangster. I couldn’t go another day without posting these puppies of mine. They’re too old to hike with me now, and sometimes Bewee makes me INSANE by opening my door with her nose (she comes and goes as she pleases). 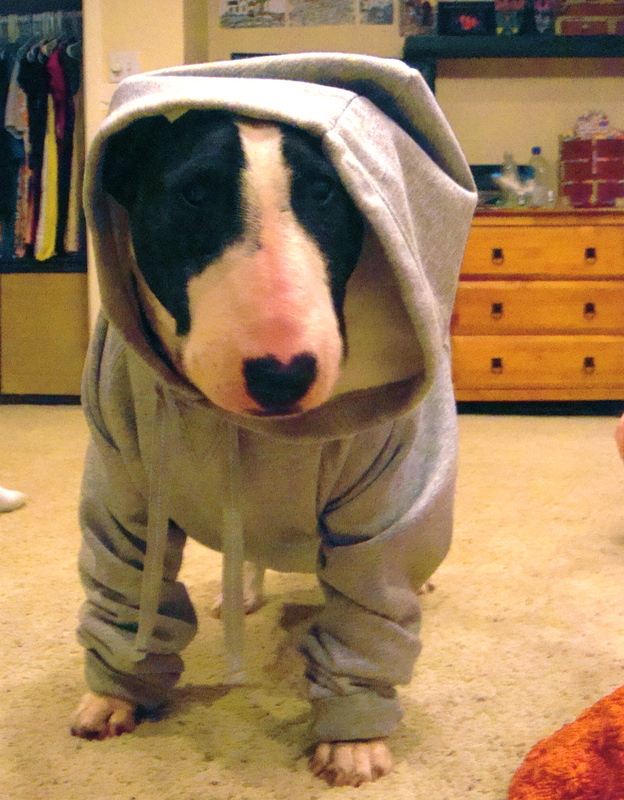 Still, I know that I want to have a mini bull terrier of my own one day. 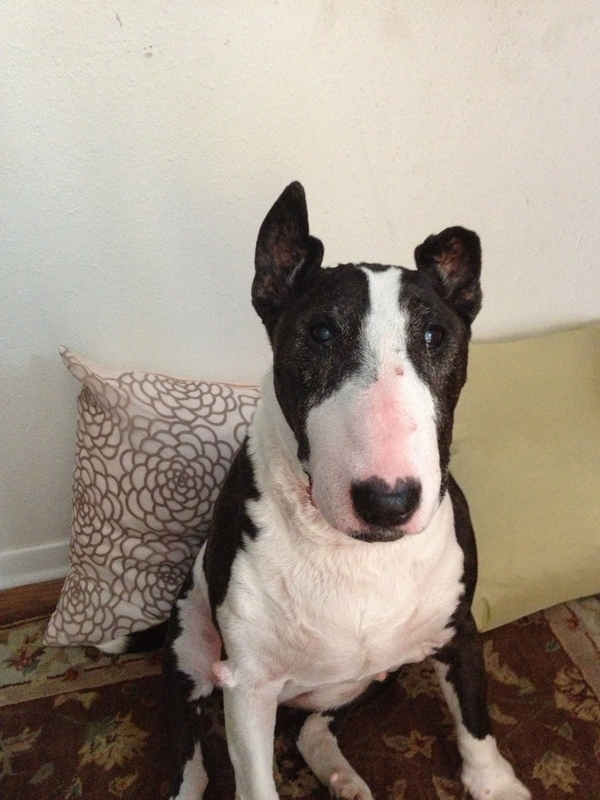 Have you ever met an English Bull Terrier? They’re a one of a kind breed. PS- both these dogs love hot dogs (apparently) and are accepting donations sent to the house. They’re hungry. They’re real hungry.